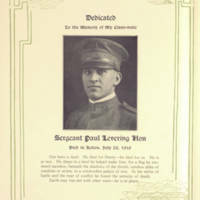 A page from Oshihiyi, the 1919 Stetson University yearbook, memorializing Paul Hon (1898-1918). 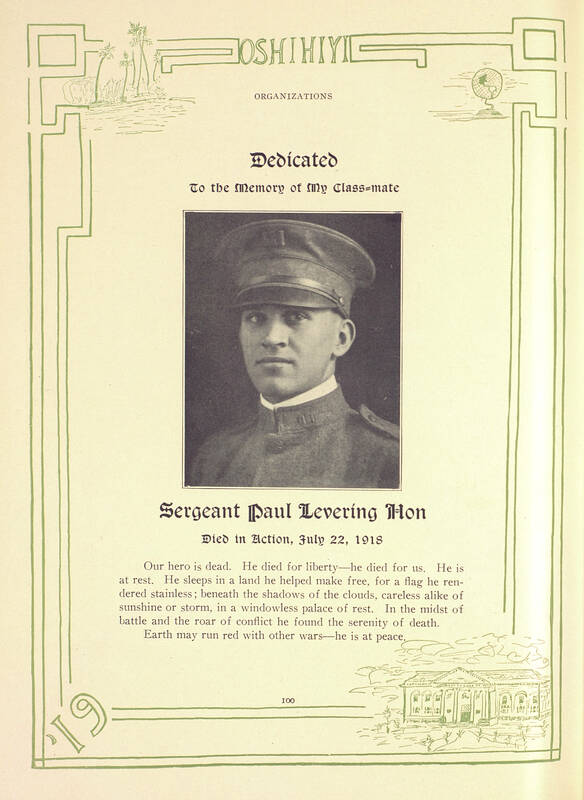 Though this dedication lists Hon's death as July 22, 1918, he actually died two days earlier, according to his military records. Originally created and published by the Junior Class of John B. Stetson University, Class of 1920. Junior Class of John B. Stetson University, Class of 1920. “Stetson University Yearbook, 1919.” RICHES of Central Florida accessed April 21, 2019, https://richesmi.cah.ucf.edu/omeka/items/show/10370.